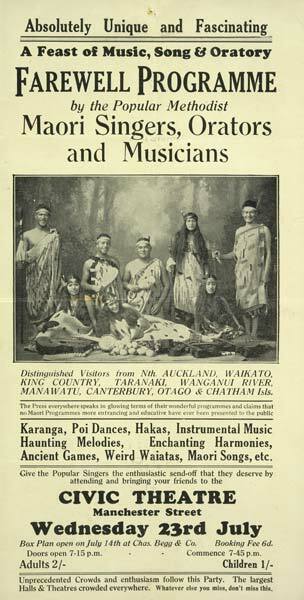 This 1930 poster advertises a performance in Christchurch by the Methodist Maori Singers, Orators and Musicians. This popular troupe toured the country raising money for the church with traditional and modern songs, dances and other performances. The poster suggests that each of the group's eight members came from a different tribe.